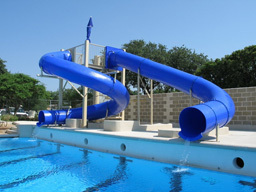 Double Flume Pool slides add excitement to your pool. Double the flume, double the fun! 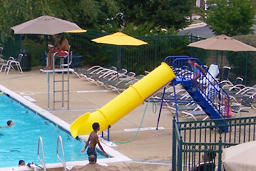 Single Flume Pool slides add excitement to your pool and help increase attendance! Designed for use in residential applications, public pools or areas in water parks that won’t allow a larger slide, pool slides come is a wide range of sizes and configurations. Add Excitement to your Pool and help increase attendance! 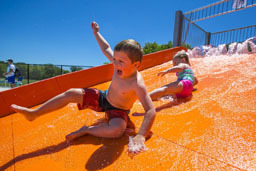 Designed for use in residential applications, public pools or areas in water parks that won’t allow a larger slide, pool slides come is a wide range of sizes and configurations. Natural Structures pool slides are built to the same exacting standards as our water park class slides.